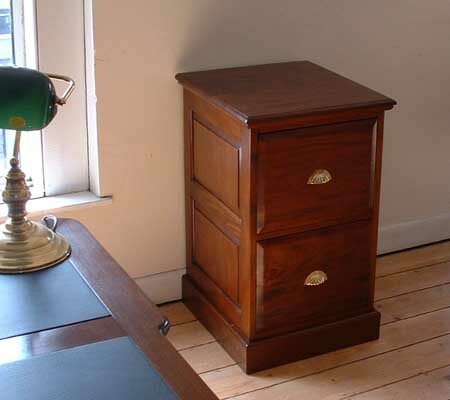 Solid Mghoney 2 Drawer Filing Pedestal. Classic Filing press with 2 solid filing drawers with a solid brass pull handle. With panel sides to match our desk range.